Sir, the privates weapons name is Charlene, sir! Ah…Upotte! !…it’s a show about a school for guns. 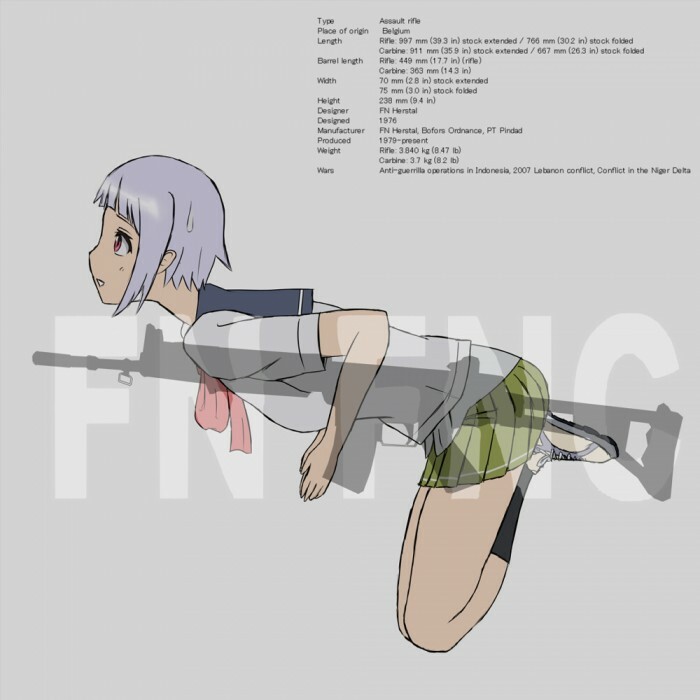 That girl is the “soul” of the FN-FNC…and they constantly joke about her wearing a thong because the gun stock is a frame. She also has a very sensitive trigger…I’ll let you guess what that means.